CPF sponsored two scholarships to awardees from Feeding Hong Kong and SKH St John’s Cathedral in 2015 and another awardee from Asian Charity Services in 2016. 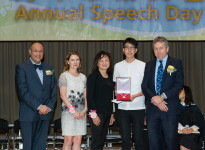 With the support of CPF, Mrs Rita Mok and Mr Edwin Mok, the Kelly Cheng Scholarship was set up to commend Ms Cheng’s long service and tremendous contributions to the College. 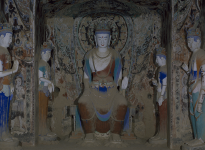 CPF supported the digitalisation of cave murals and statues in Mogao Grottoes in Dunhuang. CPF supported the "心意行動『大齋期』愛心行善運動" which gives short term relieves such as food, rehabilitation service, emergency cash, etc. to those in need. Since November 2013, CPF has supported the running costs of one of Foodlink’s vans, which collects surplus food from various donors and distributes to those in need. CPF helped the needy by purchasing food coupons at the Holy Cafe.